Tait & Hall Law Firm is making headway by expanding their location as of January 14th, 2019 in an effort to maintain their growing clientele. Their team will continue to provide services from the Mesa/East Valley area, but with demand at an all-time high it was decided that the time has come to further Tait & Hall’s reach throughout the Valley. And Phoenix is the ideal city to do just that: where business is always buzzing, and access to both current and future clients is greatly facilitated. Phoenix, AZ, January 23, 2019 --(PR.com)-- Business is all about growth. Tait & Hall Law Firm is making headway by expanding their location as of January 14th, 2019 in an effort to maintain their growing clientele. Their team will continue to provide services from the Mesa/East Valley area, but with demand at an all-time high it was decided that the time has come to further Tait & Hall’s reach throughout the Valley. And Phoenix is the ideal city to do just that: where business is always buzzing, and access to both current and future clients is greatly facilitated. As a highly reputable law firm, Tait & Hall is ready to bring their expertise to the Phoenix market. AJ’s s previous experience on the prosecution side of the legal system has proven to be a secret weapon to his current success as a defense attorney. This widespread knowledge gives him a unique perspective on prosecution policies and case strategies, allowing him to fiercely advocate for each of his clients the way he does today. This is complimented with Ryan’s skill makes them tough to beat. Ryan’s clients have reaped the benefits of his credentialed expertise, proven true by an impressive collection of dismissals and jury acquittals. As a member and graduate of the inaugural class of the Arizona Criminal Forensic Academy, he developed a sharp ability to pinpoint and attack flaws in even the most complex cases. Fighting for clients isn’t just a job for Ryan, it’s his passion, and that is made evident through the level of investment put into his work. The two partners and the rest of their team are anxious to see what this expansion will bring in terms of business and client satisfaction. Keep your eye out and stay up-to-date with Tait & Hall’s expansion by following them on Facebook or visiting their website. Tait & Hall is a full-service law firm offering aggressive, effective representation for residents throughout Arizona. 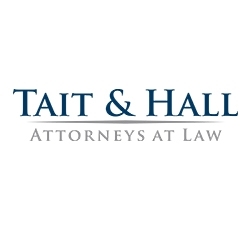 With over 25 years of experience, the attorneys at Tait & Hall have a record of legal victories that is unsurpassed. We offer strong legal services for the cases involving but not limited to: Criminal Law, DUI Law, Personal Injury Law, Real Estate Law, Business Litigation, Contract Disputes, Orders of Protection Guardianships, and Traffic Violations. To get legal advice regarding your specific legal issue please contact Tait & Hall at 480-405-6767.